Ben Hogan Edge Irons Review: Best Irons Of The Year? 1 Ben Hogan Edge Irons Review: Best Irons Of The Year? 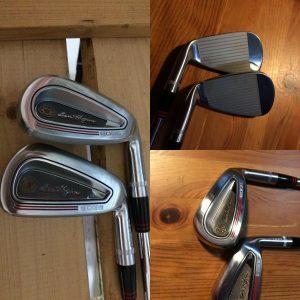 My Quick Ben Hogan Edge Irons Review: They’re my Favorite Hogan Irons, by far and on par with the best on the market. These clubs pack all the punch you’ll ever need and look great while doing it. They are forgiving, accurate, powerful, sleek, and GORGEOUS! These clubs are hot…As long as any iron I’ve hit without having to go after it. Great Trajectory…The ball takes off high and lands softly. Holding greens is not a problem. They are a little shorter from heel to toe than game-improvement irons, so may come off looking a little more like a players iron but DO NOT be scared away. You will have no fear of hitting them when you see them behind the ball. The slightly thicker top line gives you all the confidence you need to swing away. My method of testing: My range sessions consist of repeatedly hitting my 6 and 9 iron (now my pitching wedge and 7-iron), then hitting the Edge 6 and 9 iron (now Edge and Ft. Worth Black pitching wedge and 7-iron). I go through 2 buckets or about 100 balls per session. On one or two occasions, I may have grabbed a third bucket. I was having that much fun. I wanted to get an immediate sense of how they performed against my clubs, which were specifically fit for me and that I love. What Surprised Me: The ball jumped off the face and matched my trajectory and distance with my Callaways from the very first swing. Why Was I Surprised: They have a “player” look and I was expecting an intimidation factor. They come in a sleeker and more compact package. They are about 1/4 to 1/2 inch shorter from heel-to-toe compared to my Callaway Fusions. You can dial up any shot you want or need. Straight…Draws… and fades are hit as easily as with my Callaways. My basic shot is a slight draw, but I’ve been working on hitting a fade for a couple months now and have intermittent success with it. I’m about 60% confident trying fades during a round. 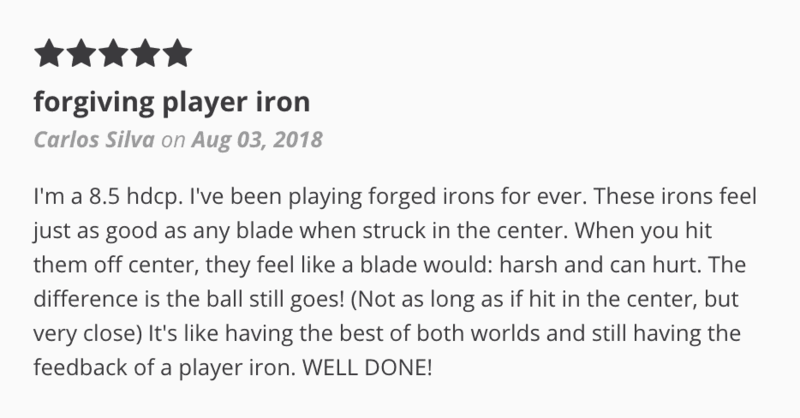 I hadn’t hit any other iron, either in testing or just trying out a friend’s or a demo from the pro shop, that performed as well for me as my irons. So, they immediately had my attention. These Are The Best Kept Secret In Golf…and Will hang With Any New Iron On The Market & Win If You Throw In The Super Low Price. Looks: These clubs are elegant and compact and very nice to look at. They frame the ball nicely and gave me the confidence I could swing away at the ball even though they are just a bit smaller than my current set. I attribute this to the slightly thicker topline. Distance: This is one of the things that got my attention immediately. Easy distance. The ball jumps off the face of my irons when I hit them solidly, but I also maintain control. I didn’t have to “go after” them. Trajectory: The Edges mirrored the trajectory of my clubs from the first solid strike. I hit my irons medium-high to high, and I hit these the same. Very confidence inspiring. Shape: I was able to hit draws and fades as easily with these clubs as with mine. Forgiveness: As forgiving as game-improvement clubs can be. I hit the majority of my irons shots toward the toe and probably got 95% or more of my normal distance- it seemed. 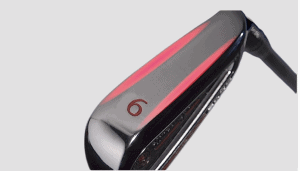 Mid – Low Handicap: I think this club will work exceptionally well for you. It did for me at least, and I’m no ball-striking genie. I’ve been thinking about moving to a smaller clubhead for a while and these clubs would be an easy transition for me. The thicker topline helps mitigate any loss of confidence you may feel from looking down at the slightly smaller clubhead. There’s just a crap-ton of tech and forgiveness hidden inside that beautiful chassis. The low single digit handicap guy will have no problem showing these off to other single digit handicap guys. 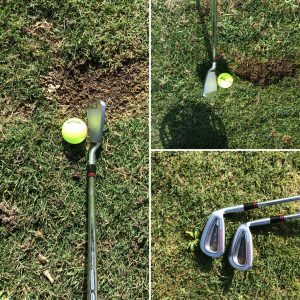 High-Handicap: This will be more of a hit and miss iron for you to begin with…BUT, I’m confident you can easily grow into them and keep them as long as you want. These clus pack a ton of forgiveness and do not punish marginal swings. Best of all, you can just go through their demo program and grab a couple demo irons, as I did. They ship the clubs to you within 3 days and provide a shipping label for easy returns. Click the red button below to get started! You, literally, have nothing to lose. 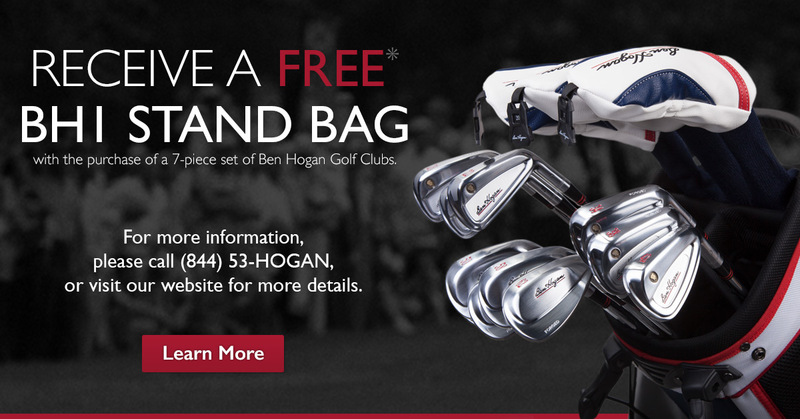 As with all clubs from Hogan Golf, these are forged. But, these clubs offer something thought nearly impossible for a forged iron, perimeter weighting. They achieve this by taking two forged pieces- the hydraulic-hammered face and the back frame and hosel- and laser-welding them together. Because of the hollow head construction, they are able to vary the club face thickness for better performance in the long and short irons. Specifically, the long irons have a thinner face for better distance and forgiveness for heeled and toed shots. Mid and short irons have a thicker face for improved feel. The clubheads are filled with polycarbonate foam to promote an exceptionally solid feel through impact. An average of 12% larger for a larger and more effective hitting area. More offset which allows for more times for your hands to square the clubface – leads to a higher trajectory for your shots – and a steeper angle of descent for greater ability to hold greens. If you’ve read my Fort Worth or PTx reviews, you are well acquainted with V-sole technology. If not, I’ll briefly explain it here and how it has been enhanced. 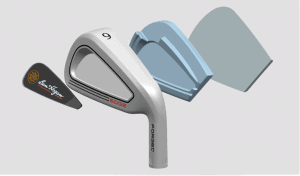 In a nutshell- the leading edge of the prior Hogan irons released between 2015 and 2018 had a high-bounce leading edge and a low-bounce trailing edge to better accommodate different turf conditions for better club-ball contact. What the designers have done to enhance V-sole technology is to “soften” the leading edge bounce (so, there’s less bounce) for those of us with more “controlled” (read- slower) swings to be able to take advantage of the technology. What the team at Hogan learned in the years since the release of this loft system, is that the vast majority of customers picked one particular profile, the mid-high launch. So, the others have now been eliminated for this model. What has remained unchanged is the exact 4-degree gapping from club to club. 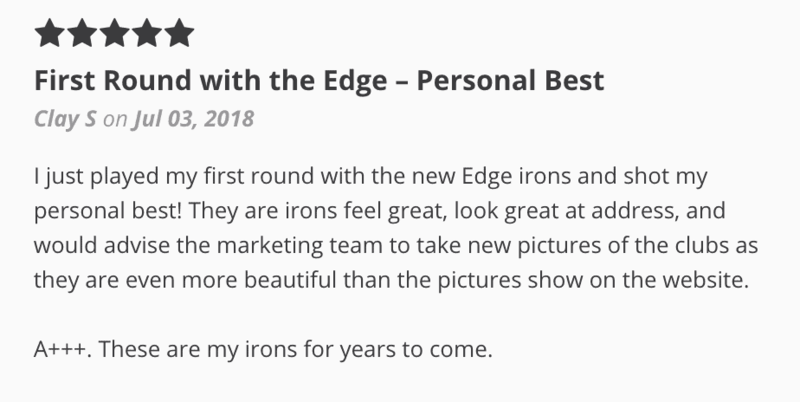 Thanks for checking out my Ben Hogan Edge Irons review! I really hope you enjoyed reading it as much as I enjoyed hitting these clubs. You Won’t Find Better Irons at A Better Price!